Warrington Rowing Club Masters Oarsman, Phil Higginson, recounts his experience of competing at the 3rd Annual Philippine International Regatta. 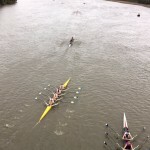 Warrington Rowing Club Crews were in action at the weekend, competing at the Chester Long Distance Sculls, a 5000 metre time trial on the River Dee. Error: Error validating access token: Session has expired on Friday, 08-Mar-19 04:39:17 PST. The current time is Saturday, 20-Apr-19 15:21:47 PDT.